Well, tonight’s plans ended up changing. Originally, Jay and I were supposed to be meeting up with my friend Heather & her husband, Mike, for dinner. But, unfortunately, the hubby came home feeling pretty sick, so we decided to reschedule. With my newly open evening, I decided it would be a good opportunity to do a little cooking! First, I started off by cubing up the butternut squash, and combined it with 2 sliced carrots, some onion, and vegetable broth. After simmering for about 20 minutes, I poured it all into a bowl, and threw it in the freezer to cool. In the meantime, I really got my “culinary” skills goin’ and started making some homemade bread. 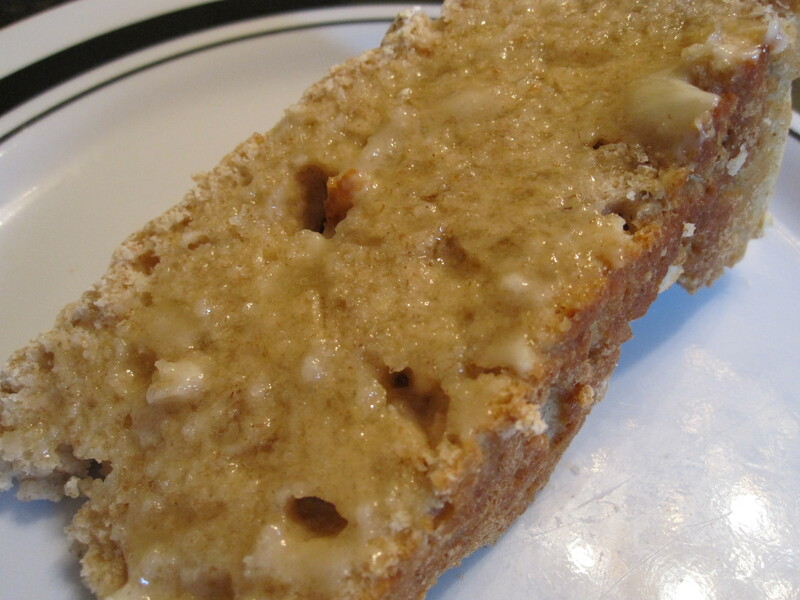 Courtesy, again, to my Everyday Light Meals cookbook, I found a Hearty Oat Loaf recipe that looked just too good to pass up! After spreading the batter into a pan and sprinkling it with some extra oats, into the oven it went! I HIGHLY DISLIKE MY BLENDER!!! It has officially “crapped out” on me, and I am now in the market for a new one. Basically, Jay and I got our blender for our wedding, and ever since we opened it a few months ago, it never really seemed to work right. It would take at least 3 tries to finally get my smoothies blended, and the blender jar never really seemed to fit the way it should on the base. Well, let’s just say that tonight, when I tried using it for my butternut squash recipe, the blade & bottom of the jar decided to stay stuck to the base, while the jar came off…with everything in it! Luckily, things didn’t get too messy, and I was able to finish…but it must have taken me about double the amount of time to finish everything. So needless to say, I’m in the market for a new blender! Alright, back to the good stuff…so what was the recipe you ask?? 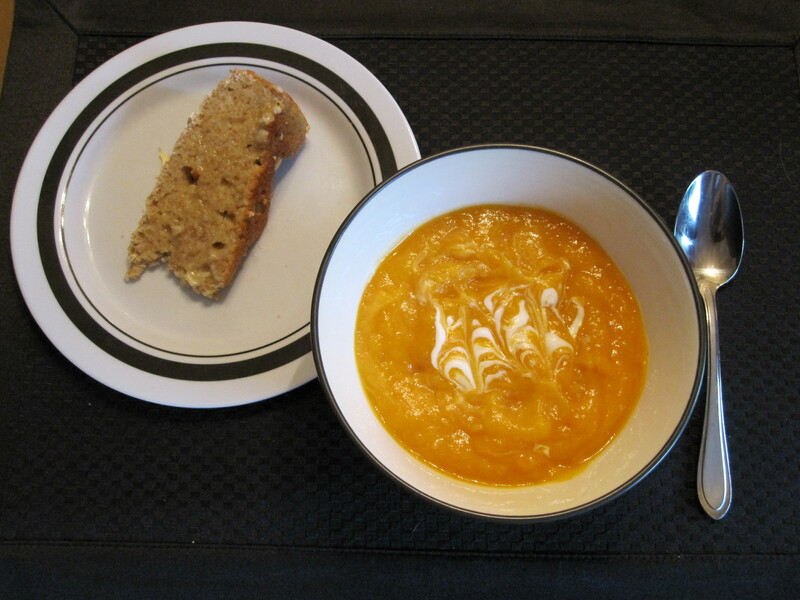 Chilled Squash and Carrot Soup! I would have liked for things to get a little “smoother” but at this point, I had pretty much lost all patience with the blender and was starving! I’m not going to lie, this soup is definitely going to be one of my FAVORITES!! 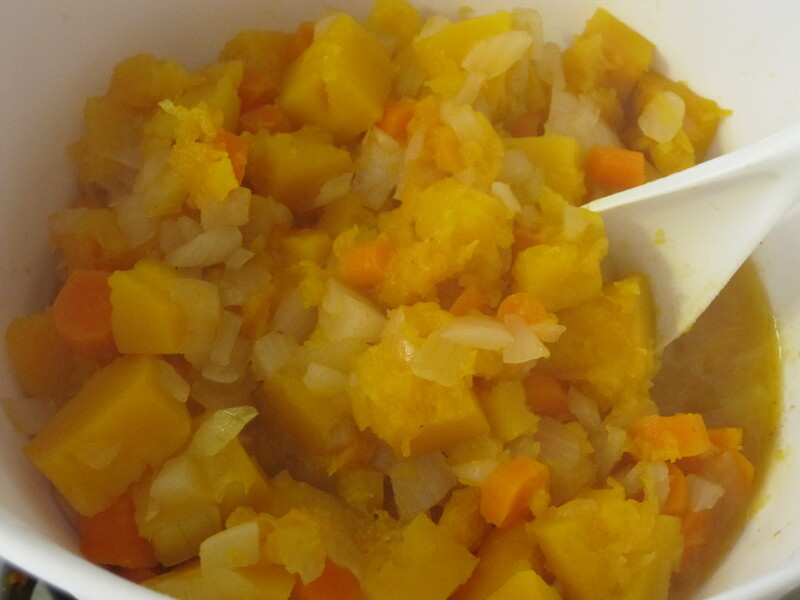 The flavor of the squash, carrots, & onions all combined together to make a fabulous chilled bowl of goodness. 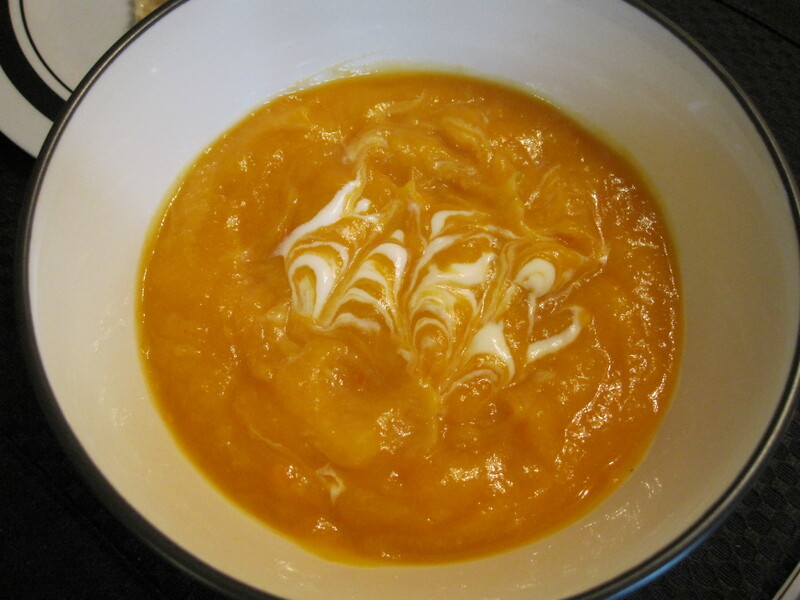 I would HIGHLY recommend this recipe if you like squash!! Look at that sweet, melted butta! 🙂 I still have lots of extra to use on some bread tomorrow…yesssss. 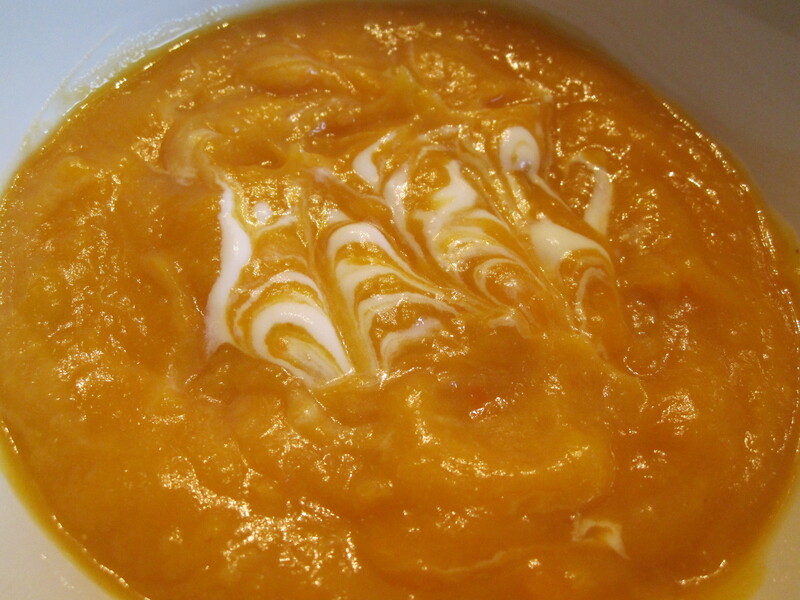 In a large saucepan, combine the squash, broth, carrots, onion, and salt. Bring to a boil. Reduce heat; cover and simmer 15-20 minutes or until vegetables are very tender. Remove from heat; cool. 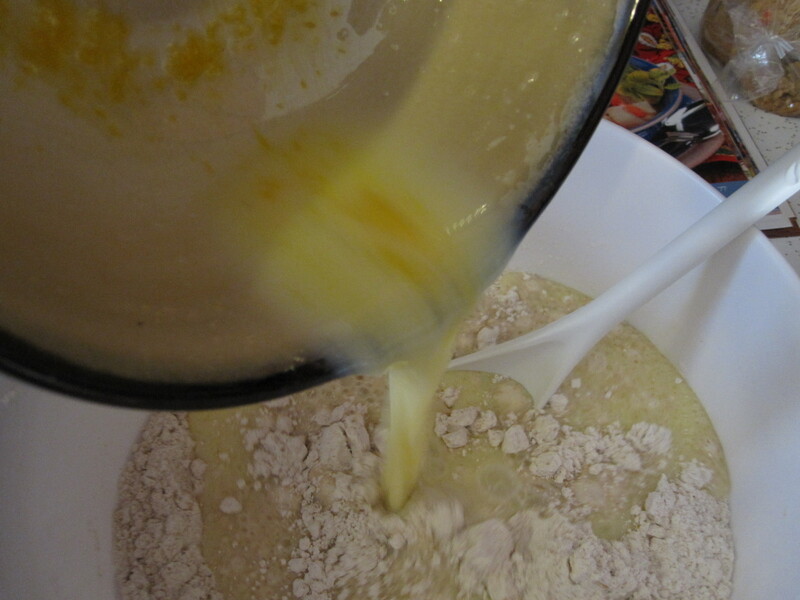 In a blender or food processor, puree squash mixture in batches. Transfer to a bowl, stir in evaporated milk. Cover and chill until serving. Garnish with sour cream, if desired. 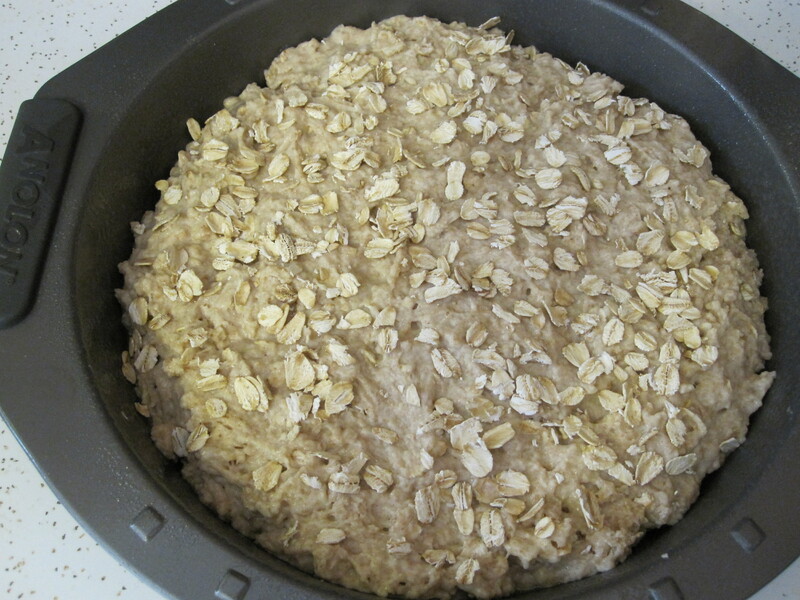 In a large bowl, combine the flours, 1/2 cup oats, sugar, baking powder, and salt. 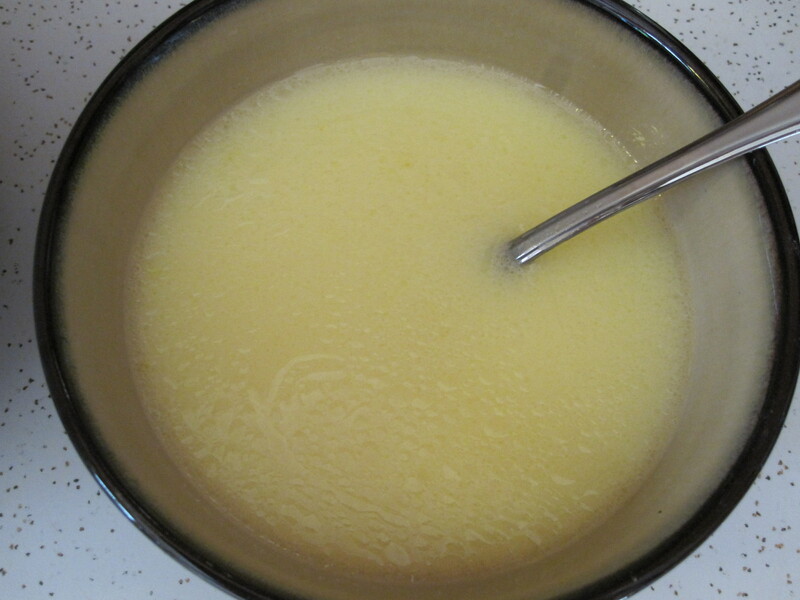 In another bowl, combine the egg, milk, and oil; stir into dry ingredients just until moistened. 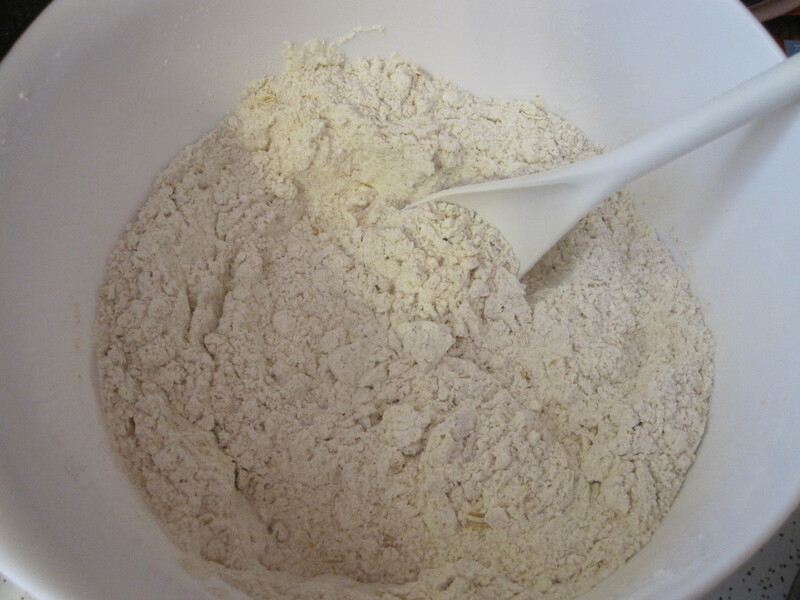 Spread batter into an 8- or 9-in. round baking pan coated with nonstick cooking spray. Sprinkle with the remaining oats. Bake at 350 degrees for 40-50 minutes or until a toothpick inserted near the center comes out clean. Cool for 5 minutes before removing from pan to a wire rack. Serve warm. **OK – so now I’m in need of a new blender! Does anyone have one that they would highly recommend?? I'm a working mom of two beautiful little boys, Lucas and Alex, and I began writing Sweet Tooth, Sweet Life in April 2010. I enjoy chronicling my love of food (healthy and indulgent! 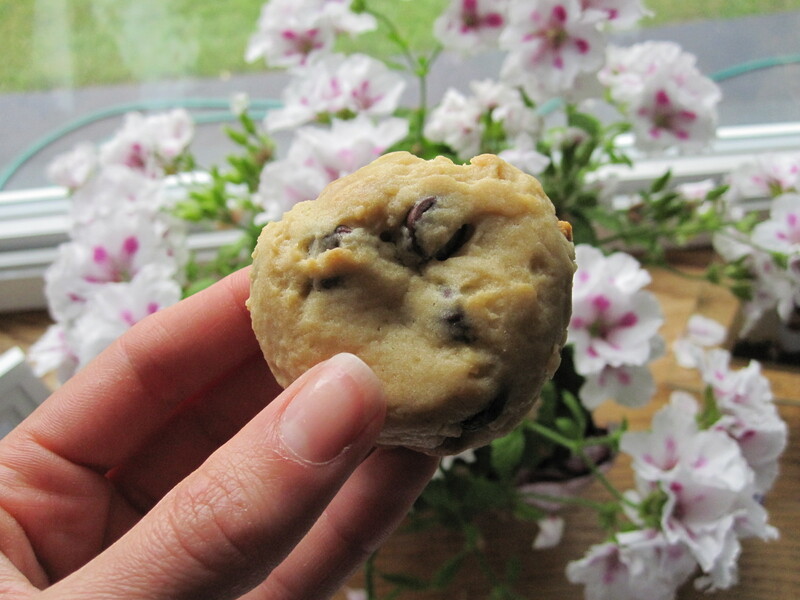 ), baking, motherhood, fitness, fashion, and everything in between! I see that you're looking for a new blender, I recommend the Ninja. http://www.ninjakitchen.com/buyninjaproandprep.shtml I actually got the Ninja Master Prep for Christmas, and just now that I Googled it and found the official website it looks like they have a "Pro System" as well. This thing is absolutely great! You you get a 48 oz pitcher and also a smaller food processor cup, and each has it's own blade set and lid, and of course a cover so you can store leftovers. And the best part is that you get a "power pod" that you place on top of either container, so you can make a smoothie in the pitcher, then move the power pod directly onto the smaller food processor cup and make some hummus or salsa. And when you make icey drinks it literally comes out with a smooth texture, no ice chunks at all. You would pay $7 or more at a bar, but now you can make drinks at home! They brag that it "turns ice into snow", and it does. I always blend the ice first, then I add in my fruit and liquids (maybe some liquor?) and then blend it all together. (I like to make slushies with coconut rum and diet orange soda!) I sound like an infomercial because I've seen the infomercial like 3 times, and I MADE my husband buy it for me for Christmas, that's all I wanted... well that and a new robe, but anyway...! I wouldn't order it online because you're going to pay more, plus shipping. Hubby got mine at Macey's for $70, but I've seen them on sale for $50, and now that they have the Pro version, the original is probably a little less. So, that being said, check out their website, or go to Youtube and find some video review etc, and I think you'll totally be happy with it! Mine has literally been on my counter since Christmas day, I use it 3-4 times a week, I'd say, for one thing or another. And another tidbit of info, the plastic containers are microwave safe (can you say hot cheesey salsa or maybe some fresh homemade soup?) and everything except the power pod is dishwasher safe! Let me know what you think! I'm back...and all I can say is W-O-W!! That bread turned out fantastic..so pleased!! 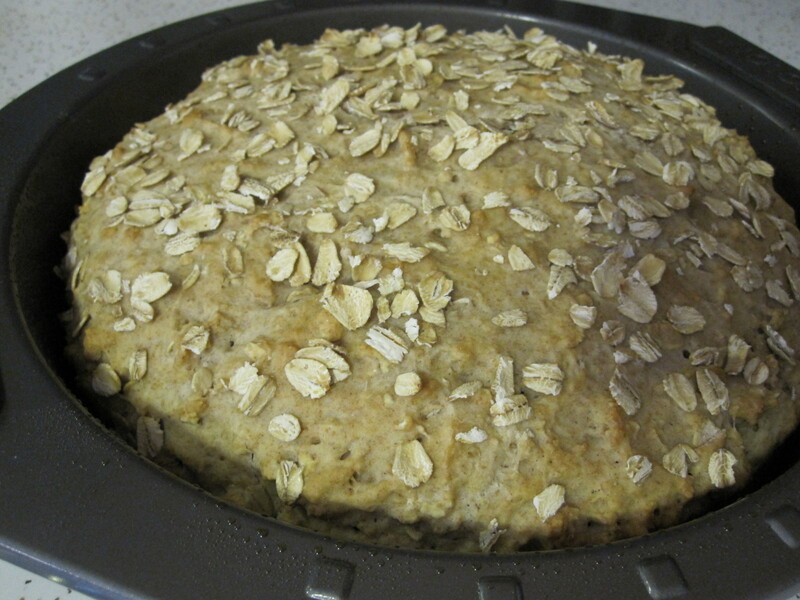 I always assumed bread was difficult to make, but your oat loaf seems pretty simple! I can't wait to try it out! How annoying about your blender, mine has an attitude problem every once and awhile. I love how easy that bread is. Sometimes bread recipes get too complicated, and it's great to find one that's super simple! Hi Courtney! 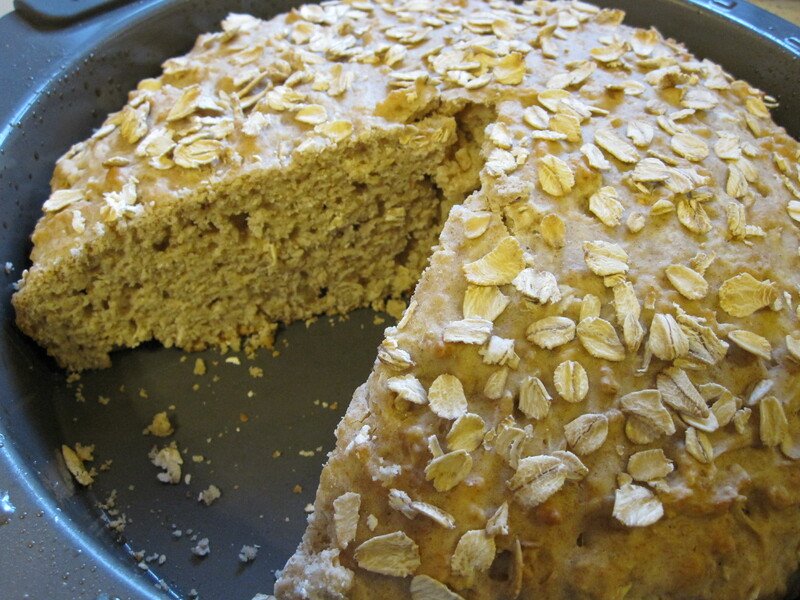 I just made your hearty oat loaf this morning! 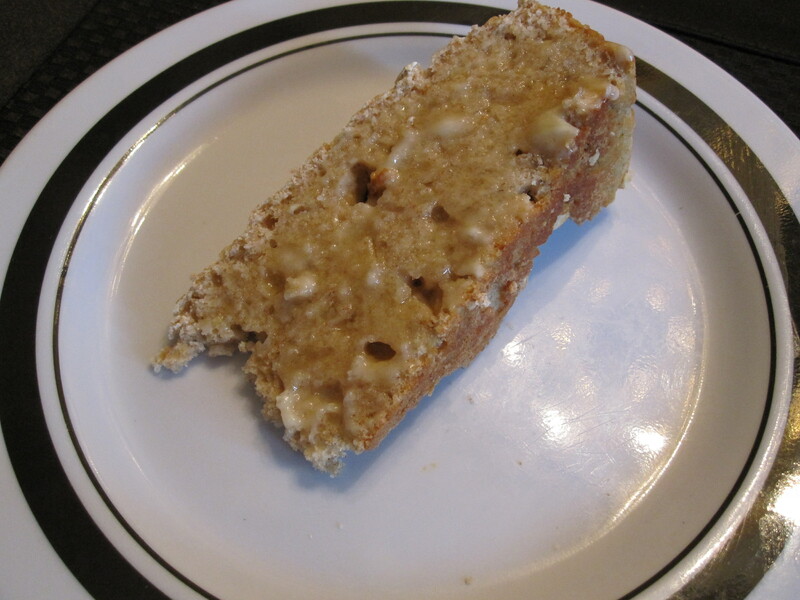 It tastes good, except that it's very crumbly (as in, it breaks apart when I try to spread butter onto it). My mum likes it too, but she insisted that it's "muffin / scone", not "bread" LOL! Is yours also so crumbly? The only substitution I made is using 1.5 cups all-purpose plus 1.5 cup whole wheat pastry flour. I baked 45mins. Courtney, I'd love to try it again, but wanna make sure I straighten my mistakes... It's 1.5 cup milk, isn't it? (not 1 - 1.5.....) And based on your baking experience, do you think over-mixing makes a difference?